As we can see, this half blood knot has pulled around to the side of the hook eye and this can happen no matter how tightly we pull the knot when it is first formed. This fly will not swim properly. 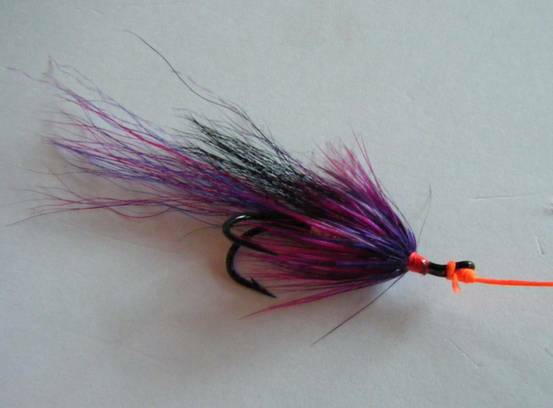 The problem also happens with trout wet flies, dries, nymphs and streamers. Experienced anglers are aware of this problem and just resign themselves to the knots shortcomings. However, there are two better knots that we can use! 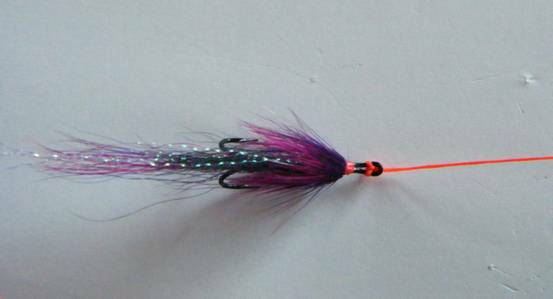 In the picture above we have a salmon fly with an upturned eye but it doesn’t matter which way the eye is turned because this knot will work. 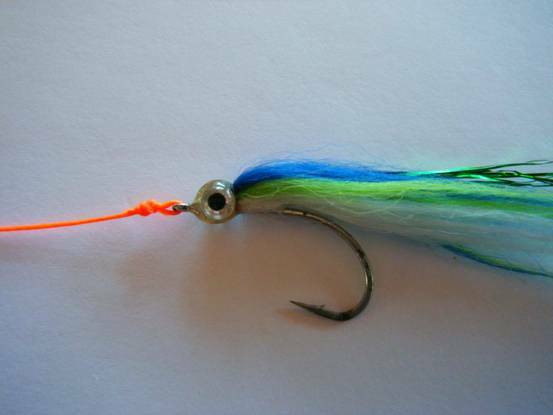 Pass the tippet through the eye and around under the shank of the hook. 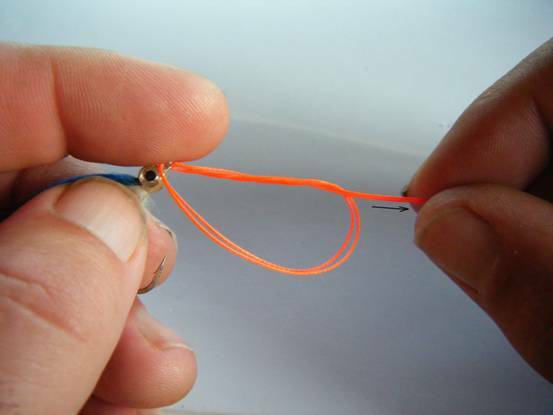 Pass the tippet back out through the eye making sure you leave 4 or 5 inches of tippet outside to finish the knot. 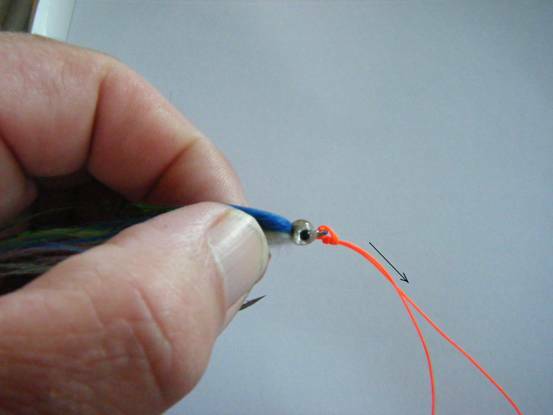 When we draw the knot tight the bulk of the knot fits very neatly into the eye of the hook. 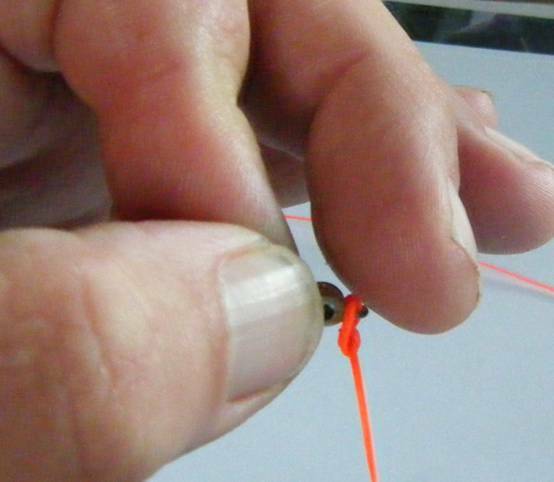 Some anglers use a Turle knot or a double turle knot to replace the half blood knot to cure the problem of hinging, but this knot is neater and easier to tie as we are still using a knot that we already know to finish the knot. Here we have a view looking down at the top of the fly and you can see how neat the finished knot is. 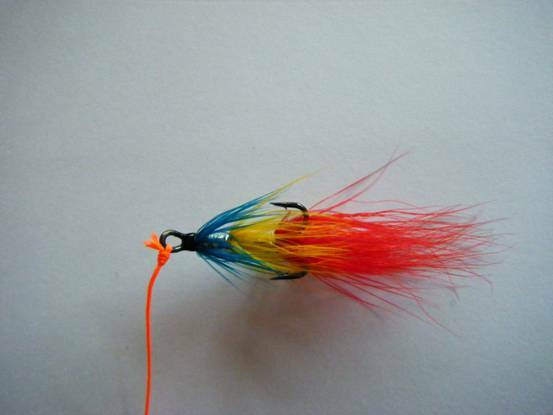 As an experiment hold the fly and pull strongly on the tippet from different angles and you will find that the knot stays put, maintaining a perfectly straight joining between fly and tippet. I believe this knot was invented by Gordon Lesinger and the great Art Lee christened it the Tweed Clinch. 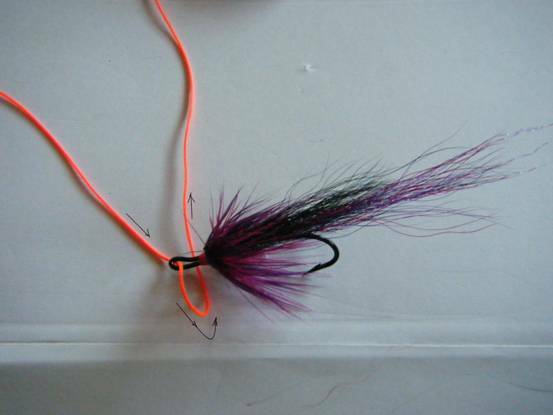 Now we have a truly effective replacement for the half blood knot especially for trout or salmon flies with a pronounced down turned or upturned eye and it will also ensure that our flies will always swim straight. 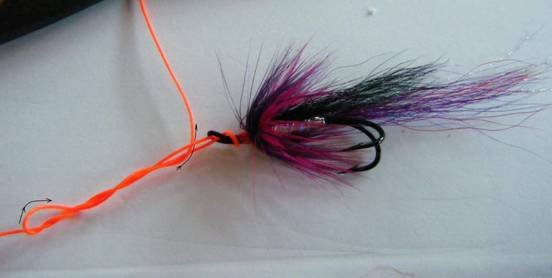 I came up with another knot many years ago as a replacement for the rapala knot when fishing small plugs for salmon or trout.It is very quick and easy to tie. 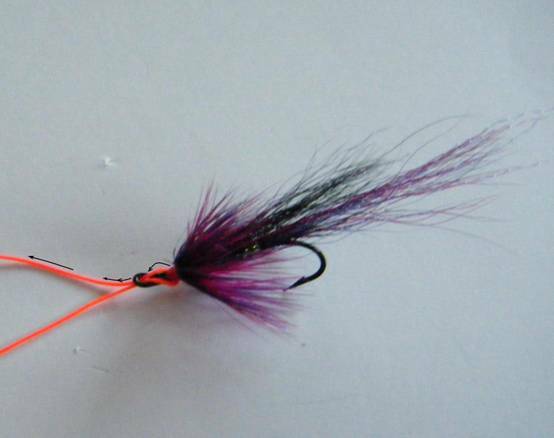 It gradually dawned on me that my new knot might also be useful for salmon and trout flies as it would allow a lot more lifelike movement in my flies while still allowing them to track straight in line with my tippet. This knot,shown below, is basically a modified double overhand loop knot with the fly inserted in before we start. I have never given this knot a name so to save confusion with the overhand loop knot lets call it The Moy Loop. When we fish very rocky rivers we may have to use tippets that are much larger in diameter than what we would normally like to use because of the likelihood of abrasion against these hazards. 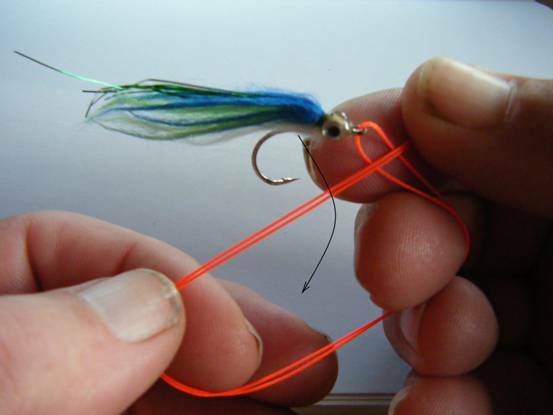 Flies tied to heavy tippets with half blood knots lose most of their lifelike movement but we can now employ the Moy Loop which will allow our flies have maximum lifelike movement while still swimming straight and true. 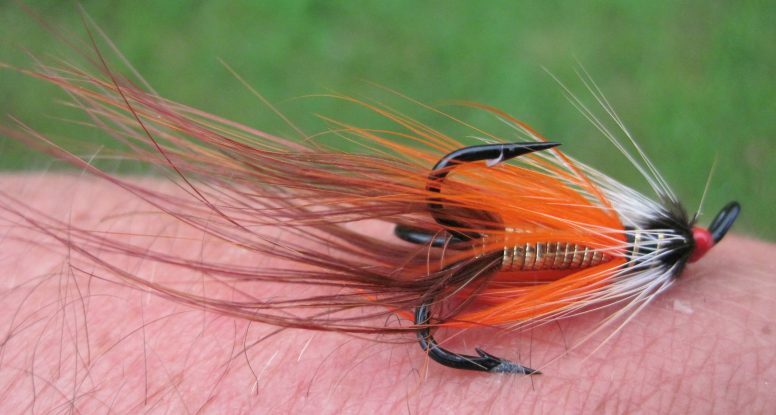 Nymph fishing for wild stillwater/river trout is all about presenting our flies at the correct depth and allowing them to fish as naturally as possible and here once again the Moy Loop knot with its ability to provide the maximum possible free movement will also match these requirements perfectly. When dry fly fishing for trout on heavily fished rivers the trout can become very spooky as regards to our flies dragging on the water surface creating a wake . 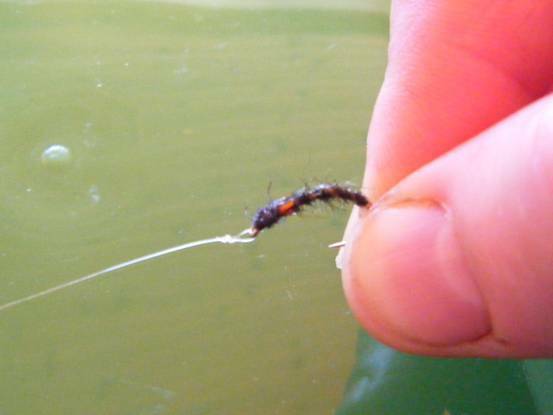 Even the tiniest hint of drag (sometimes called micro drag) can put them off rising to take our dry flies. 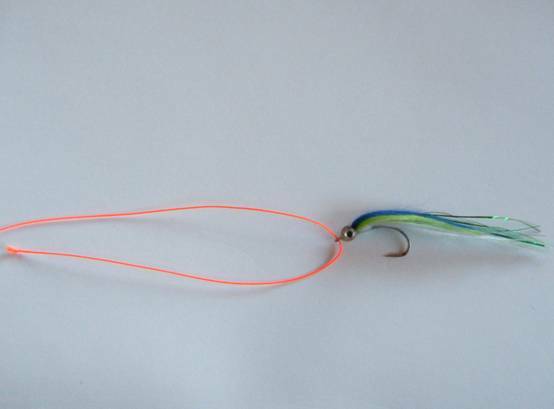 Here once again the Moy Loop knot with its maximum free movement capabilities would be a good knot option to use. 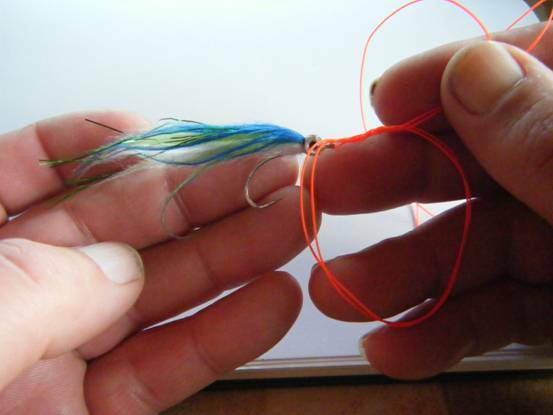 As fly fishers, we do not need to know how to tie dozens of different knots. If we know how to tie 5 or 6 good ones for various applications/situations then we should be well equipped to tackle the vast majority of fishing scenarios. Now you have two more to add to your arsenal ! !